Well.. yes! 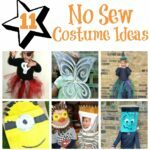 I am back, with ANOTHER easy No Sew Halloween Costumes idea – this time a cute Pirate Tutu… did you see our Witch Costume? Well.. same principle. 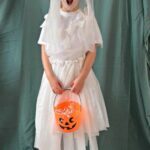 And we are joining in the Halloween Blog Hop! 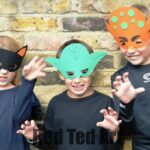 Come link up Halloween crafts below! Tulle pattern: Red, Red, White, Red, Red, Black, Red, Red, White…. 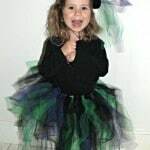 Check out our Easy Tutu Tutorial, use lots of red, black and white and done. We added a bandan to the head, a cardboard eye-patch and a paper skeleton to our black t-shirt. Instead of paper, you could use white felt and pin that on too. And check out our cute witch too! 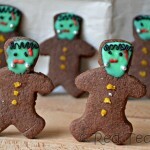 or our Halloween Cookie Treats. Mmmmh. 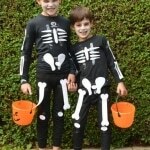 What are you favourite kids Halloween crafts? 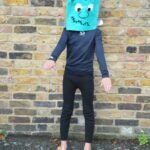 Have you made any Halloween Costumes before? 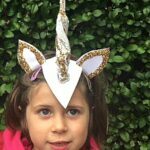 Cerys – I get it on ebay. You can tweet @summerlandc who is doing a stock clearance? You’re on a roll lady! And they are all gorgeous!! Awe thanks, you always leave the loveliest comments! Cutest little pirate ever! I just love all the tulle costumes! 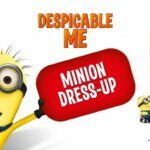 I am hosting a Halloween Costume Contest on my blog and would love for you to enter! Grand prize is worth over $125!! Hello, the picture at the top of this website article is packing a little strange to me? I used giving a message however it bounced again. 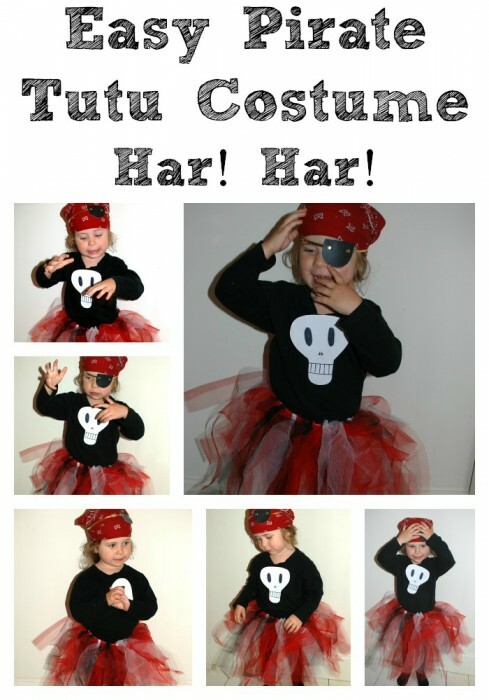 That is the most adorable Pirate costume I have ever seen.